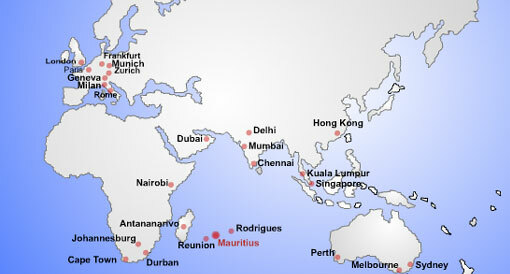 AIR MAURITIUS offerS sightseeing tours, passenger transfer, aerial photography and filming flights services to some 10,000 passengers annually. Our fleet comprises modern helicopters, each with a seating capacity of four (4) passengers. As soon as you step into our premises at SSR International Airport, you feel the warmth of our staff and you know you're among friends. Our dedicated team welcome every passenger and personally assist with check-in. Experienced pilots are trained to the demanding safety standards of Air Mauritius. They also act as your personal guide, entertaining and informing you about Mauritius history, geography and sites of interest as you glide above fantastic landscapes. Experience the beauty of the island and feast your eyes with enchanting sights of picture post-card transparent lagoons, pristine coastline, undulating sugar cane fields and other spectacular views. Tours range from 15 minutes to 1 hour whereby the itinerary depends on the flight duration, helipad location and weather conditions. Customized tours can also be organized. Click here to book your Sight-seeing trip. Air Mauritius was one of the first advertisers in Africa Travel Magazine, and we appreciate the airline's continued support,with news, brochures and items for our web site and magazines. So that our many readers,viewers and browsers can become more familiar with this exotic destination off the Coast of East Africa, we will be adding current flight information and tour contacts.